Are There Things I Can Do to Prevent Fibroid Occurrence? Preventative care for fibroid tumors includes eating healthy and exercise to maintain a health body weight. Estrogen is stored in body fat and fibroid tumors are estrogen-sensitive. By reducing body fat, women may also reduce fibroids. What are some Fibroid Treatment Options for Fibroid Tumors? Hormone therapy and non-steroidal anti-inflammatory medications may also be effective to prevent or treat mild fibroids. Hormones are directly related to the development and growth of uterine fibroids. Hormone therapy pills may be used to control certain hormone levels limiting or eliminating fibroid growth in the uterus. Heavy menstruation and prolonged bleeding are common symptoms of severe uterine fibroid tumors. Hormone therapy may also be used to help reduce bleeding and other symptoms from fibroids. Risks of continued hormone therapy use include blood clots, heart attack, and stroke, particularly in patients that smoke. Also, weight gain, mood changes, migraines, and the potential for increased risk of breast cancer. Traditional fibroid treatment options in the past have primarily been surgical. For women during childbearing years, a myomectomy is performed to remove fibroids and sew the uterus back together. For other women a hysterectomy is performed where the uterus is removed, with or without the ovaries. Risks of surgery include prolonged hospital stay and recovery time of up to 2-3 months. Increased blood loss, blood clots, infection, damage to bladder and/or bowel are also risks. Uterine Fibroid Embolization (UFE) may also be referred to as Uterine Artery Embolization or (UAE) and is now the latest and most effective of the fibroid treatment options. Uterine Fibroid Embolization is a safe, non-invasive procedure using interventional radiology for the direct treatment of fibroids in the uterus. UFE involves the injection of tiny particles into the artery leading to the fibroid to cut off the blood flow to the tumor. Once the artery is completely blocked, the fibroid will no longer have a regular supply of blood causing the tumor to shrink and reducing or eliminating symptoms. If you have been experiencing these symptoms, you may have fibroid tumors in your uterus. In order to properly detect fibroid tumors in your uterus and fully understand how they are affecting you, you need to consult with a qualified fibroid specialist. You do not have to feel alone during this time. The patient care team at the Fibroid Center at St Johns Interventional and Vascular Institute truly cares about you and your unique situation and is here to help. 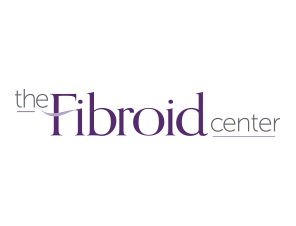 The experts at the Fibroid Center can help detect, diagnose and treat your uterine fibroids with Uterine Fibroid Embolization (UFE), the minimally-invasive treatment and safe non-surgical alternative to a traditional hysterectomy.